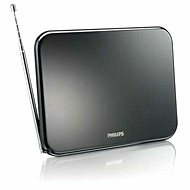 This Philips indoor antenna is equipped with a low noise amplifier and variable gain control designed to improve digital and analogue broadcast reception. 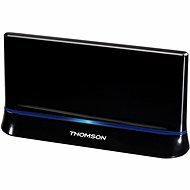 Variable gain control improves signal reception up to 36dB for better reception of weak signals, thereby expanding the reception range for more signals over a greater distance. The hardware selected for the digital tuner allows HDTV reception with little noise. 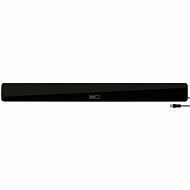 The Philips SDV5120 is easy to install, simple to adjust, and compatible with HDTV devices. 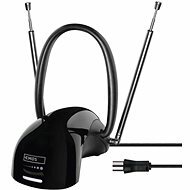 The antenna can be powered via the included power adapter, or a 12V battery (not included), making it suitable for use in campers, boats, etc..
For shipping to other EU countries visit this page Philips SDV5120. Für Versand nach Deutschland, besuchen Sie bitte Philips SDV5120. Chcete doručit zboží do Česka? 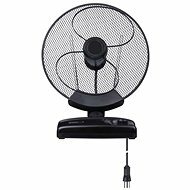 Prohlédněte si Philips SDV5120. Chcete doručiť tovar na Slovensko? 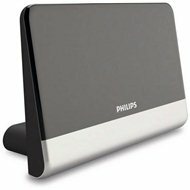 Prezrite si Philips SDV5120. Für Versand nach Österreich, besuchen Sie bitte Philips SDV5120. Magyarországra történő kiszállításért tekintse meg ezt a termékoldalt: Philips SDV5120.